Featuring a 12.5mm layer of Cool Blue Memory Foam, this mattress offers perfect temperature regulation, helping to reduce overheating for a comfortably cooler night's sleep. 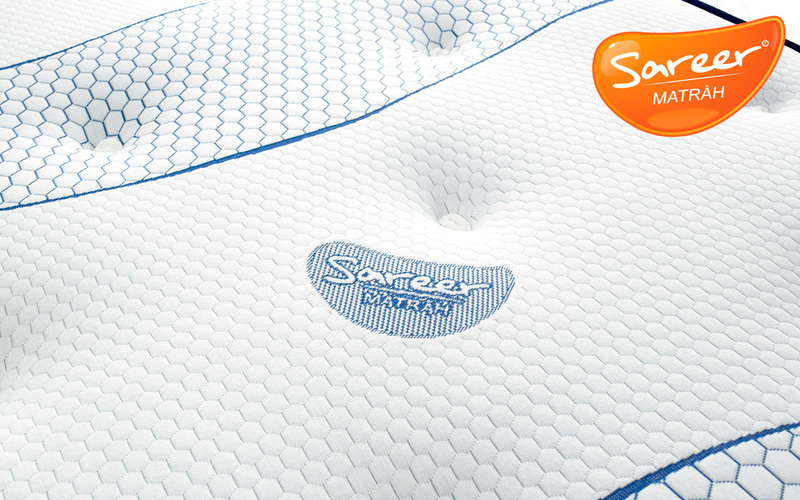 Wake up feeling revitalised as the sumptuous memory foam layer soothes your aches and pains, reducing pressure point build-up and offering supreme comfort. 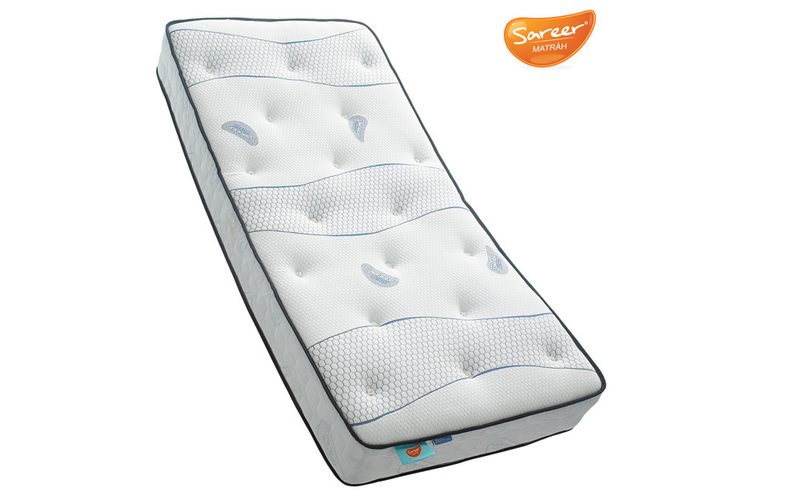 Perfect for those who enjoy plush, gentle support, Sareer's Cool Blue is an excellent alternative for those looking for the same great benefits of the traditional, equivalent density (75kg per cubic metre) memory foam, but without the warmer feeling sometimes associated with memory foam. Thanks to the Ultra-Fresh anti-microbial protection and hypoallergenic fillings, this mattress offers resistance against dust mites and bacterial growth for a fresher, healthier sleeping environment. With 1000 pocket springs, a medium-firm support rating and tufted for enhanced durability, this mattress provides the ideal balance of comfort and personalised support you need for a well-rested, refreshing night's sleep. 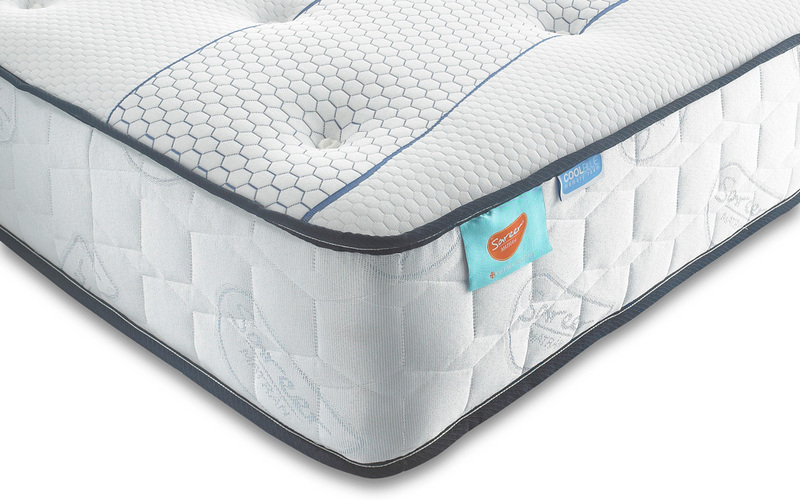 Single-sided for your convenience - simply rotate your mattress regularly to keep it working at its best. Now there's no need to struggle when manoeuvring your new mattress! Rolled-up and hassle-free, this also offers an environmentally friendly way to deliver your fantastic new mattress to you! A good quality, competitively priced mattress, which gives good support. Great mattress, a lot better than my last memory foam. Actually wake up pain free since I bought it.